OLED is an emerging display technology that enables beautiful and efficient displays and lighting panels. OLEDs are already being used in many mobile devices and TVs, and the next generation of these panels will be flexible and bendable. When we talk about flexible OLEDs, it's important to understand what that means exactly. 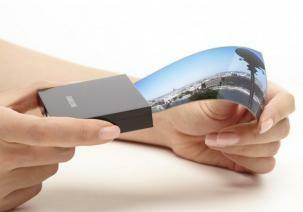 A flexible OLED is based on a flexible substrate which can be either plastic, metal or flexible glass. The plastic and metal panels will be light, thin and very durable - in fact they will be virtually shatter-proof. The first range of devices that use flexible OLED displays are not really flexible from the user perspective. The device maker bends the displays, or curves it - but the final user is not able to actually bend the device. Besides the beautiful designs, a flexible OLED has several advantages especially in mobile devices - the displays are lighter, thinner and more durable compared to glass based displays. 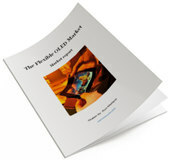 Second generation flexible OLED devices may indeed be flexible to the final user. 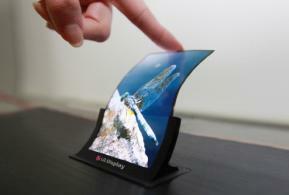 Finally, when the technology is ready, we may see OLED panels that you can fold, bend or stretch. This may create all sorts of exciting designs that will enable large displays to be placed in a mobile device and only be opened when required. In October 2013, following many years of development and prototype demonstrations, both Samsung and LG Display finally started producing flexible AMOLED displays on plastic (polyimide) substrates. Both Korean companies are now mass producing such displays, which are being used in mobile phones and wearable devices - such as the Galaxy S7 Edge (shown below), the LG G Flex 2 and Apple's Watch. 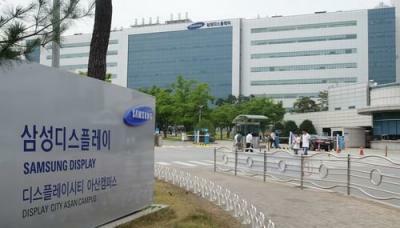 Samsung Display is currently producing flexible OLEDs in two production lines, the 5.5-Gen A2 and the and the newer A3 6-Gen A3. 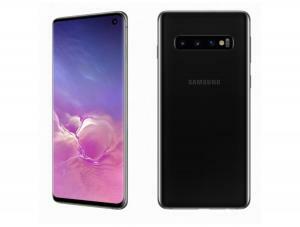 Samsung is producing around 9 million flexible OLEDs per month - to satisfy demand for its mobile phones and wearables - and Samsung is working on expanding its capacity as demand soars and as Apple ordered around 100 million flexible OLED panels for its future iPhones. LG Display currently produces plastic-based OLEDs in its Gen-4.5 fab, and is investing $900 million to build new production lines as it also aims to become a major flexible AMOLED producer. China-based OLED producer Visionox unveiled new foldable OLED prototypes at the China Information Technology Expo. Visionox demonstrated inside and outside folding panels, 8.5-inch OLED that folds in two places and a larger 10.5-inch panel that folds in three places. Visionox says that its panels can be folded over 300,000 times. Researchers from the Korea Advanced Institute of Science and Technology (KAIST) developed a self-powered wearable and washable OLED display device. The whole device is fabricated on textiles and the efficient OLED devices are driven by polymer solar modules. 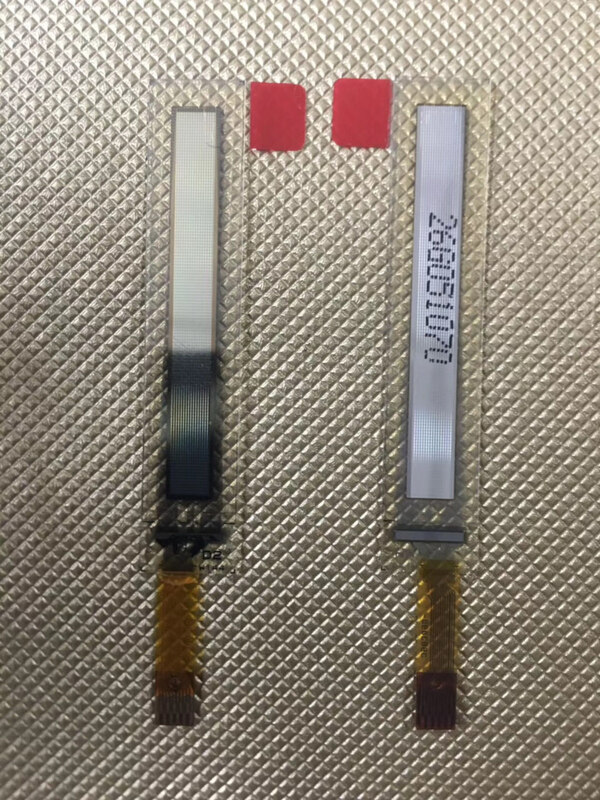 Both the OLED device and the polymer solar panels are sensitive to moisture and oxygen, and regular OLED encapsulation will not protect such a device when washed. The researches designed a new washable encapsulation barrier using both ALD and spin coating. The device is flexible (curvature radius of 3 mm) and survived 20 washing cycles of 10 minutes each with little change in performance.